The worlds of wildlife and not-so-wild life are coming together in unprecedented ways. A decade ago, for instance, you wouldn’t have dreamed of being able to ‘shazam’ a tree to identify it, or thought that someone in Iceland could tell you the name of the bird that just whizzed past you in India. But today, using these pocket technologies to know more about nature is, well, becoming second nature. Look at the potential here in India – in this country alone, there are about a billion mobile phones in a billion pockets! According to the Telecom Regulatory Authority of India, 300 million of these are smartphones. And app designers are paying attention. There’s a whole slew of apps out there for the wildlife enthusiast, catering to various areas of interest and levels of expertise. Have you explored their possibilities yet? We asked enthusiastic naturalists, birders and scientists around the country to recommend apps for both the budding and the expert naturalist. So no matter whether you’re looking to spend 2018 recording bird calls, identifying snakes or documenting the trees in your neighbourhood, here’s a list of very cool apps (and then some) that will help you make this year your most wildly productive one yet! iNaturalist, which began as a master's thesis project for three students at Berkeley, is a species identification system that allows scientists and everyday users (or citizen scientists) to share data on species, their visual characteristics and location data. It is one of the most used apps worldwide today, including in India. It has led to the recording of new species, such as the Andean Poison Frog in Colombia and even the rediscovery of lost ones, such as the snail Myxostoma petiverianum in Vietnam. Here’s how it works: once you’ve downloaded the app, take a photograph of your species of choice. The image will be uploaded automatically to the iNaturalist database, using a format that preserves metadata, such as the date, time and location. So you can have your own self-curated portfolio of observations, and other users can help you identify and tag the species in your images, if you need help. An even easier way to collaborate is to contribute to specific crowd-sourced projects; for instance, the Bangalore Biodiversity Project on iNaturalist documents the city’s species. A screenshot of the website to show how the data works. Eg: this is a listing by area in Bharatpur. Currently, it takes 18 days on average for an observer to get an identification from one of the volunteer experts. To help ‘iNaturalists’ identify species even faster, and to keep up with the growing number of observations, the app may soon incorporate deep learning – a machine learning algorithm learns from the 40,00,000 observations already made by experts, to pick out patterns and trends and identify new observations automatically. 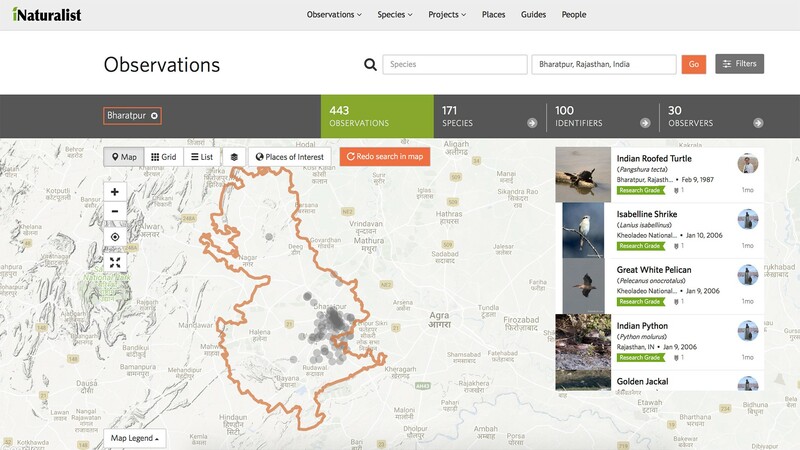 In the same spirit of collaboration, data from iNaturalist is also shared with the India Biodiversity Portal and the Global Biodiversity Information Facility (GBIF), a data repository covering almost the entire country, thanks to about 34 lakh observations from 1130 datasets till date. Snakebites claim 45,000 lives each year in India, and in most cases, these incidents are preventable. Think about it – the majority of us cannot distinguish a venomous snake from a harmless one, much less know what to do once someone’s been bitten. The IndianSnakes app is meant to solve this problem, as part of the Global Snakebite Initiative’s Indian chapter. 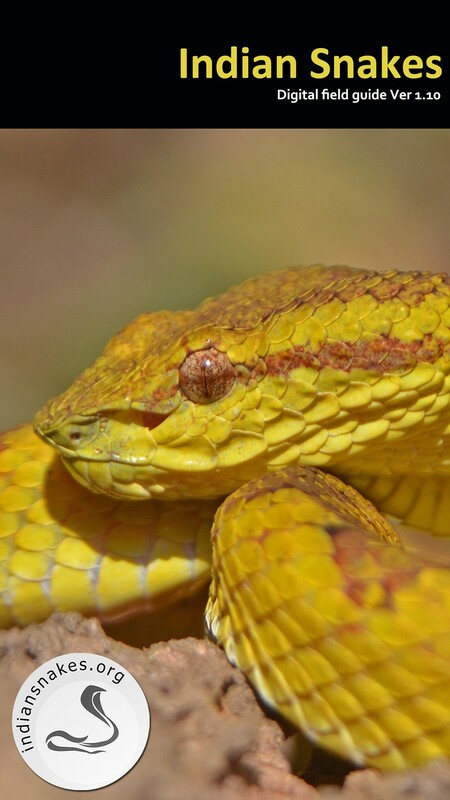 While the Global Snakebite Initiative is an international non-profit dedicated to helping the world’s poorest find effective anti-venom solutions, the app is attempting to take a more preventive stand. It started out as a simple website, IndianSnakes.org, mapping the Big Four – the Indian Cobra, the Saw-scaled Viper, Russell’s Viper and the Common Krait. As the website developed into a dataset created by over 500 volunteers, the founders decided to create a phone-based app as well. According to Jose Louies, apps like these could be the future of wildlife surveying and monitoring. If you have the app on your phone, and you’re in an area where some reptilian friends are likely to slither by, you can just drop a pin or set a location filter, and discover the actual likelihood of snakes around you. If you’re just using the app to navigate through snake territory, you’ll be able to see the map update with details of previous sightings. The team behind the app – Jose Louies, Shaleen Attre and Vivek Sharma – have ensured that recorded data is foolproof while retaining a user-friendly interface. Experts confirm the identification and also remove multiple entries. According to Louies, such apps are the future of wildlife surveying and monitoring, replacing the need to fill out sheets of survey questionnaires and ensuring accurate and dispute-free data. Hugely popular among herpetologists in India, Frog Find, before it was an app, began as a ‘Pictorial Guide to Frogs And Toads of the Western Ghats’, authored by Dr. Gururaja K. V. of Bangalore’s Gubbi Labs in 2012. It started out as a high-quality, easily portable reference guide for students, researchers, forest managers, photographers and others. According to Gururaja, who is also part of the faculty at the Srishti School of Design, wildlife needs to be made more accessible to people, so they decided that the digital medium was the next logical step. The app went on to win the India Geospatial Excellence award in Biodiversity Conservation in the same year. Frog Find has found acceptance and popularity with herpetologists in India. No matter what kind of data you’re looking for, if it pertains to the frogs and toads of the Western Ghats, you should be able to find it here. For each species, the app provides key data and tips on how to find the species – for instance, if you’re out looking for the endangered Beddome’s Toad, it’ll tell you you’re better off looking in leaf litter, under logs and in rock crevices close to streams. 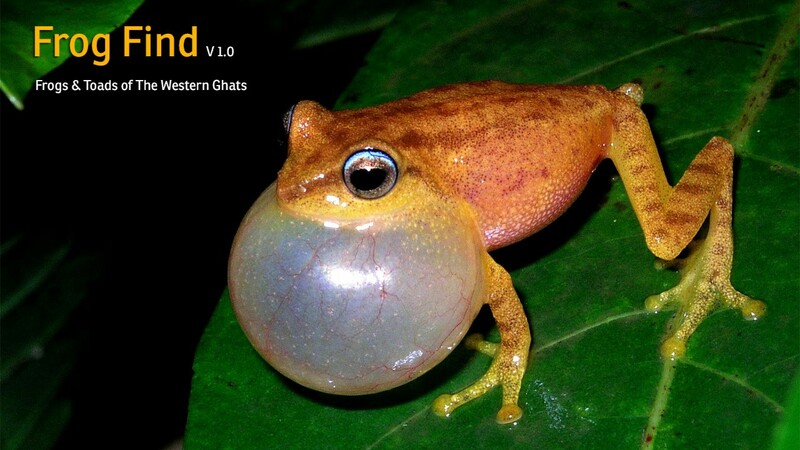 From call recordings to high-resolution images, to identification hotspots and distribution maps, frogs and toads of the Western Ghats are no longer that hard to find or identify! Frog Find has responded consistently to user feedback, gradually adding frog and toad calls and allowing users to upload their own data as well. And if there’s a frog you particularly fancy, you can make it your wallpaper! Scorpions can be found in almost every ecosystem, except for extremely cold regions. India is home to 120 species of scorpions, and we’re discovering new species fairly often. But before you begin to worry about the increasing likelihood of getting stung, here’s an important caveat – not all scorpions are dangerous. Only two species out of the 120 we know about actually have a fatal sting. That’s what the Indian Scorpions eGuide wants you to know and remember. In part, such misconceptions arise from the fact that little is known about these terrestrial arachnids – how many of us understand their medical importance or the role they play as biological pest controllers, asks Zeeshan Mirza, co-founder of the mobile app. Not all scorpions are dangerous - this app aims at breaking misconceptions about this species. Mirza has travelled extensively and documented several new species of scorpions from across the country. He is also a member of the IUCN/Species Survival Commission Spider and Scorpion Specialist Group. Historically, literature on this species has been scarce. It was only in 1983 that the first comprehensive book on Indian scorpions was published by the Zoological Survey of India. 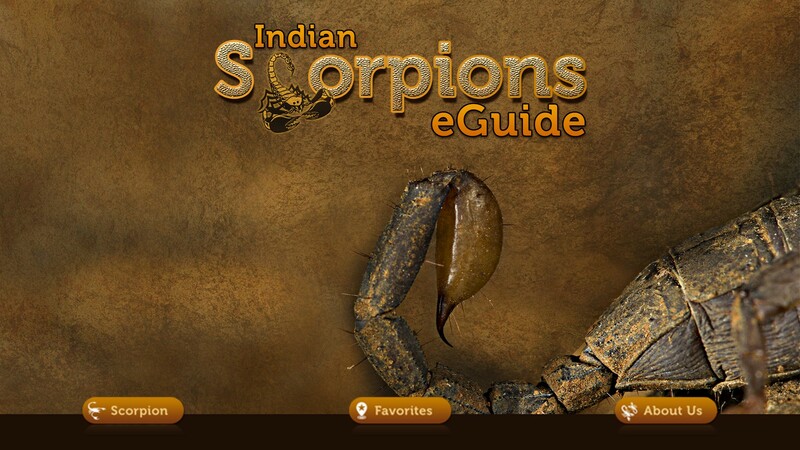 Mirza decided to bring the technicality and details captured in the book to a simple phone app, so everyday enthusiasts can learn about Indian scorpions too. The app works like a digital field guide to identify scorpion species. Accompanying the images (which can be zoomed into for minute details) is further information on the colouration, distribution and natural history of each species. With information on over a thousand birds, this free digital bird guide allows you to create your own checklists and record your sightings, with your own preferred taxonomy formats. An illustrated reference guide helpfully lets you compare the size of the bird to that of other common birds. To confirm your sighting with sound, you can listen to the usual vocalisation of that species and match it to what you hear – the app has over 25,000 sound recordings from across the Indian subcontinent. Vannya is a free digital bird guide that allows you to create your own checklists and record sightings. 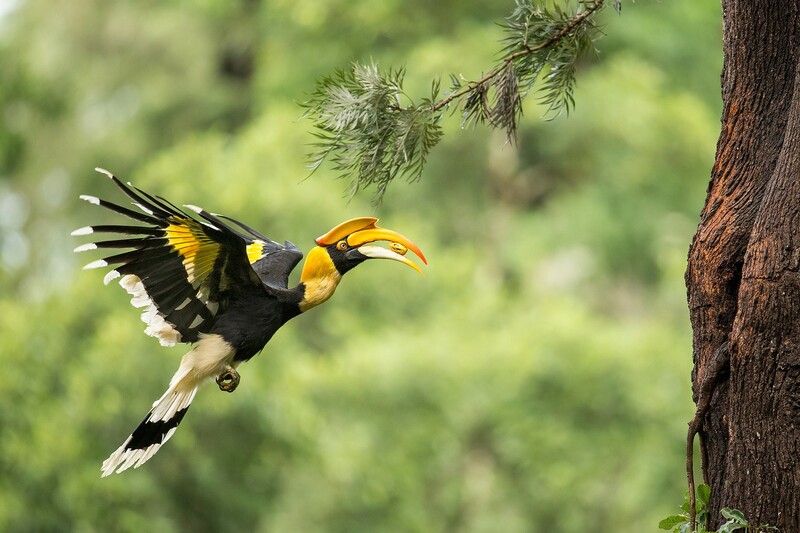 Great Hornbill photograph courtesy Wikimedia user Angadachappa under the Creative Commons Attribution-Share Alike 4.0 International license. Along with conservationists Vishnupriya Sankararaman and Ajay Tolia, award-winning birder Shashank Dalvi launched the app on November 12, 2017 – the 121st birth anniversary of Salim Ali. In 2015, Dalvi took on the informal Big Year challenge, and became the first Indian to travel across 80,000 kilometres – almost across the country – and record 1,128 of India’s 1,314 species within a single year. It was during his travels that he thought of developing a digital bird guide, with high-quality photographs taken by well-known bird photographers and bird calls in addition to the information a traditional book would have. Scientists have been trying to find solutions to roadkill for a while now. World over, there’ve been experiments with wildlife crossings, reduced speed limits, cautionary warning signs and even roadside animal detection systems that light up when an animal crosses the road. 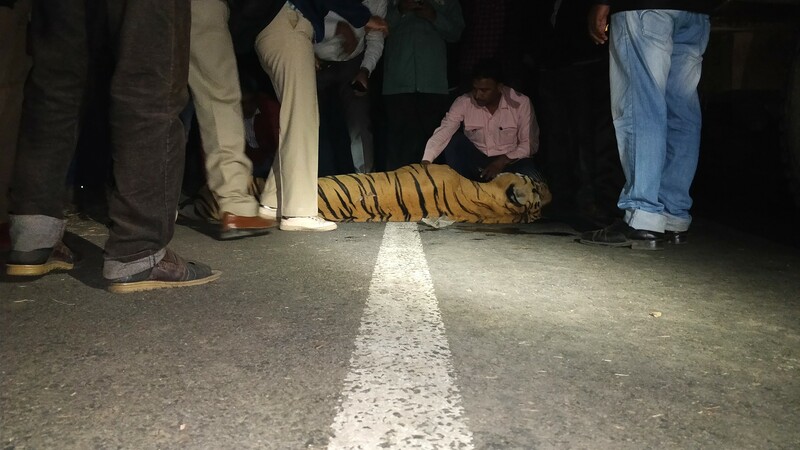 As an offshoot of the web-based citizen science project Roadkills.in, this newly launched app invites users to report data on animal deaths around roads and railway lines. The project, initiated by the conservation NGO Wildlife Conservation Trust (WCT), will help fill critical gaps in the data on roadkill incidents in the country. So, the next time you spot roadkill (or cause it), take a photograph and feed in the location details. You can pick the taxon – was it a snake, a mammal or a bird you saw? Domestic or wild? According to wildlife biologist Milind Pariwakam, the app operates on an open data-sharing policy, and the database can be shared with researchers, policy makers and road planners to help design solutions to prevent or mitigate roadkill. No such list is complete without mention of eBird, which was perhaps the first global citizen-science experiment that made such apps possible. Better known as a crowdsourced global database of bird sightings, eBird now has a mobile app (Free) as well. Indian Butterflies (Free) covers most of the common species of butterflies and moths found in India, and functions as a handy guide in the field, allowing users to create checklists and go through data in vernacular languages. Birds of the Indian Subcontinent is an app based on the legendary Field Guide by Richard Grimmett, Carol Inskipp, Tim Inskipp. It includes bird calls and recordings and is available (though not for free) on Android (₹349) and iOS ($29). Mangroves (Free) is another app recently launched by Maharashtra’s Chief Minister, which documents one of the one of the oldest ecosystems we know. Samrakshane (Free) is designed to map sightings and collect information on otters, Fishing Cats and crocodiles. Coral RKV (Free) uses a smartphone to turn two-dimensional posters of coral reefs into a three-dimensional experience. Cicada Hunt (Free) is an app that listens for an insect that might be extinct – the New Forest Cicada, the only cicada native to the UK. The last unconfirmed sighting of the species was in 2000, and the app can automatically let scientists know if any peep up; it works to identify insects in general as well. Identify the clouds or the constellations in the sky with Cloudspotter ($2.99) and Google Sky Map (Free). Vasai Birds (Free), by Amol Lopes, records of over 250 species in recent years in the Vasai/Virar region in Maharashtra. Pl@nt Net (Free) currently doesn’t have observations for India, but if you happen to be an app developer, it’s on our wishlist for cool Indian apps! This one is basically Shazam for ID-ing plants, based on pictures of the leaf, the flower, the fruit or the stem. Please visit our story on Citizen Science for more information on how to get involved. Editor’s note: There are about 8 million species of plants and animals in the world, so no matter how much data we collect in terms of photographs and geo-coordinates, the final ID still depends on probability – that is, the likelihood of it being the same species as what’s in the data set. If you're trained in natural history, trust your final judgment, or reach out to someone who can verify the ID, before you decide to turn those mushrooms into lasagne! Aadya is an independent researcher currently working with Nature inFocus. Through her work, she has been exploring the intersection between livelihoods, environmental conservation and skill development with a focus on Himalayan communities. In her spare time, she enjoys playing pretend naturalist, musician, photographer and writer.